When we moved into our house, we went hard on the DIY. 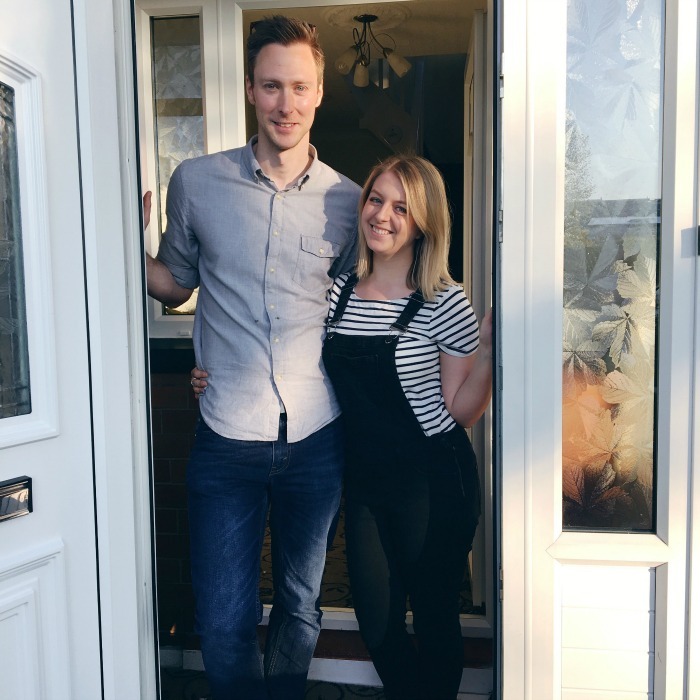 From June to November, every spare moment was taken up with painting, sanding, laying floors, going to B&Q, stripping wallpaper and every other conceivable task needed to turn our house from an ugly shell into our home. Our bedroom was the first thing on our list, and it was 90% done after the first month or so - and then it sort of stayed that way. We ran out of steam and money at about the same time, and as our house had become liveable and some corners were Instagrammable, we left it that way. With Benjamin on the way, we got another burst of energy and did a few more bits - but as he was sleeping in with us for the first few months of his life it meant that a lot of our space was taken up with baby things. Although Ben has been sleeping in his own room for almost three months (the government recommends 6 months but we transitioned at around 4 months), we've only just got around to moving his Snuzpod out of the room and 'finishing' this space. 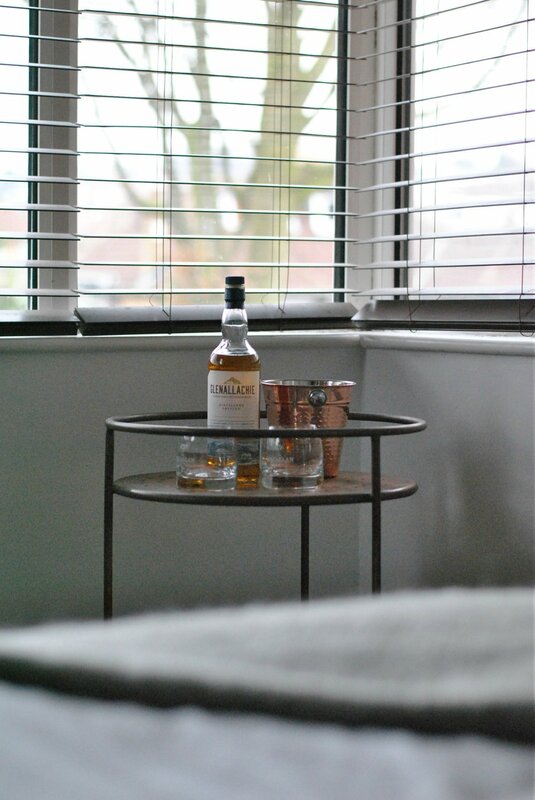 The size of the bedrooms were one of the big selling points of this house (as you can see, the decor was not...) - because of the big square bay windows, our bedroom has a lot of extra space for a chair (which has been very handy for night feeds) and for our bar cart. This bar cart originally lived downstairs, but we changed to a cabinet when babies who could move around started to visit (with their parents, not just on their own...) - having alcohol at baby-level didn't seem like a great idea, especially with Benjamin not that far away from walking himself. I didn't want to get rid of it, as its one of my favourite things we've bought for the house, and luckily the copper colour matched with the colour scheme so it's made a move upstairs. I planned a lot of the rooms in the house before we moved here; I'd already been eyeing up this copper bed before we even bought a house so it was a must-buy. 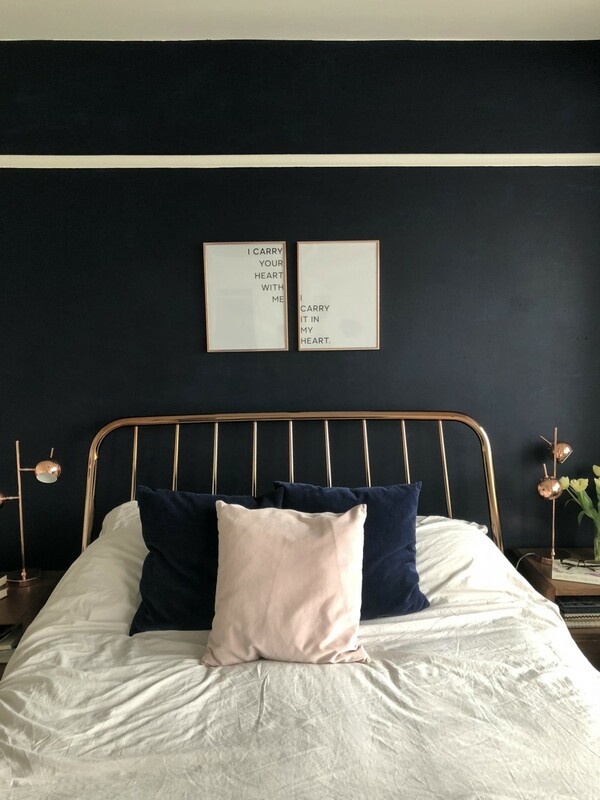 I'd seen a lot of beautiful rooms with navy and copper on Pinterest and Instagram, and it seemed like the perfect colour scheme for a more relaxing room - the shades in other areas of our house are a little more 'in your face' compared to this. A bit of blush pink, and the whole thing was complete! Although this was one of the simpler rooms in the house, we still had to dismantle the built-in wardrobes, strip two layers of wallpaper, take up the carpet and strip & repaint the skirting boards & picture rail before we even got started on the good stuff. It was a labour of love, as the whole house has been, and I'm really happy with how it's come out - especially now I look back on those before pictures almost two years later. Obviously, even though I call this room 'finished' - there is plenty that I would happily change. The IKEA drawers and wardrobe are both not-quite-temporary. I wanted some dark wood ones to match the bedside tables but we ran out of money and needed the storage, so these are a compromise until we redecorate in a couple of years. They're not the most glamorous but they do the job! Our eventual plan is to have a loft extension and create a 'master suite' in the loft - so this room will eventually be either a guest room or a bumper playroom/bedroom for Benjamin - but that's a good few years off at least. So, for now, I'm happy as it is! We finally hung the pictures on the wall in the nursery this weekend, so I thought it was about time to show you a little sneak peek of what it's looking like! Putting together this little room has been one of the funnest things about being pregnant - I love an interiors project at the best of time - but it's also been a bit fraught. There are so many lists and suggestions out there of the things you might need, whilst everyone who's actually had a baby will tell you constantly that they didn't need half the things they bought. 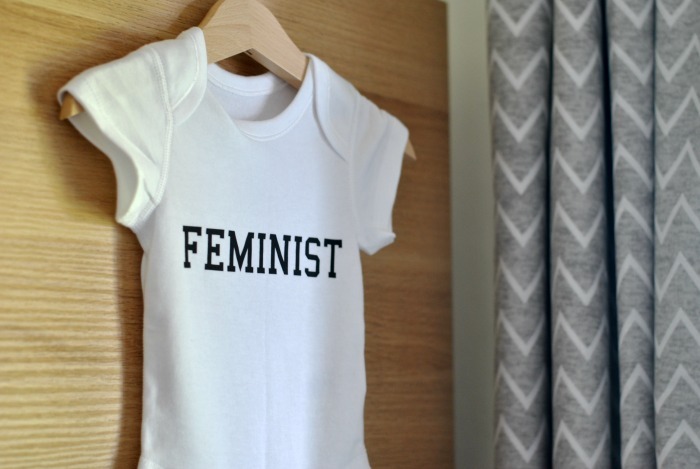 Plus there's the whole tricky business of gender; I wanted the room to be fairly neutral so we're not pigeon-holing him from the get-go but so much baby stuff is invested in whether you're growing a 'princess' or a 'prince' (vom) that it can be hard to navigate. Our nursery is the little box room in our house, so we didn't have a lot of room to play with, and we also wanted it to fit the style of the rest of the decor. Obviously, whilst this is going to be bubba's little room, he's not going to have a lot of sense of what he does and doesn't like interiors-wise for a while and we'd be the ones left grimacing if we went too baby-friendly. So, we stuck with the white walls and the grey carpet that pretty much characterise the rest of the house, and went from there. The furniture set is a Mamas and Papas one, designed specifically for small spaces. Luckily, the configuration of the room means we can fit a cot bed, chest of drawers (with changing mat on top) and a slim wardrobe into the space without making it feel too cluttered. We've popped his everyday items (mostly a whole load of wipes and nappies...) into the top drawer and his first set of clothes in the other drawers, and relegated everything else to the wardrobe. Whether that set up works for us once we get up and running, we'll soon see! I've only picked a few prints for the space at the moment, and I'm still on the lookout for something appropriate for over the changing table, as I didn't want everything to feel too cluttered. A quick search on Etsy and a dash to IKEA for frames means I feel like the room has enough personality without going overboard. This is actually the only room in the house with curtains, too; we've got blinds everywhere else but some blackout curtains felt like they fitted better here and they add a little bit more texture and pattern so it doesn't feel cold. Now that we've got past the 20 week scan, and also almost finished our boring DIY bits in the house (just need some new carpet on the stairs now! ), I get to start thinking about the fun stuff - like the nursery! Baby will be in with us for the first few months (we're leaning towards the Snuzpod for our room) but I still want to get the nursery set up as much as possible. Partly because I have time on my hands now - a luxury I'm sure won't always apply - and partly because we'll need somewhere to put his *stuff* so it makes sense to get it sorted now. Throughout the house, we've got fairly neutral decor and I'd like the nursery - smallest room though it may be - to be the same. The walls are white and the carpet is grey so that'll stay the same, but I do want to add some little pops of personality. I always shoot for minimalist, Scandi decor, but my love of colour just gets in the way (remind me to show you our pink & yellow living room when it's finished). I love Tarina's teal and peach theme (above) - it feels like the perfect balance of neutral with a bit of personality so I'll definitely be on the lookout for a few bits in those shades. 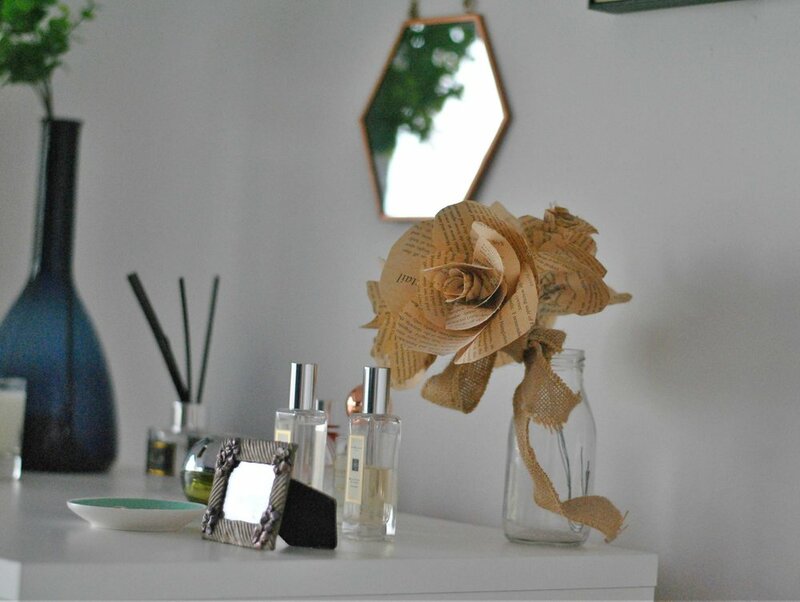 We won't have a lot of space for furniture - probably just a cot and a chest of drawers with a changing mat on top - so it's down to accessories to bring some life into the room. I love the idea of a cloud theme, and that hot-air-balloon mobile is absolutely darling. There will, of course, need to be space for books and we've got quite a lot of wall space for prints to play with, so I've been merrily pinning away with things I'd like to fill the room with. 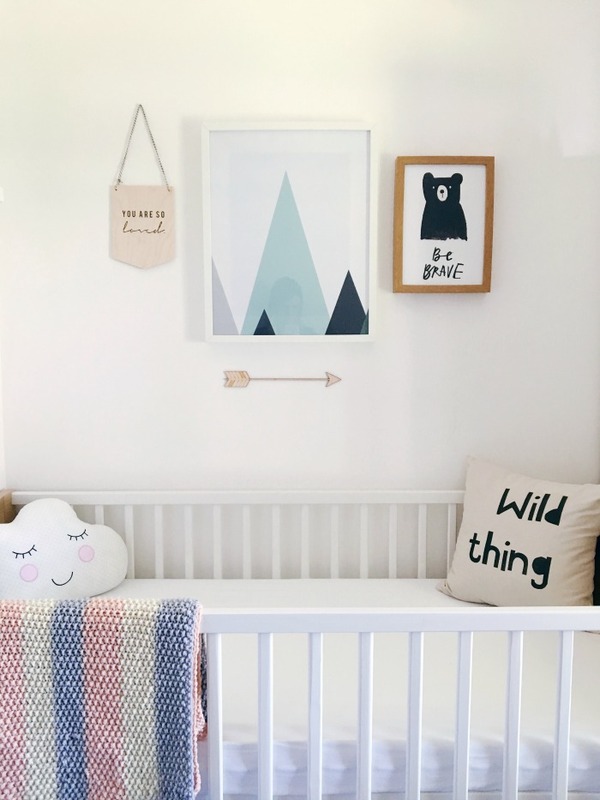 Of course, it's easy to carry away with baby things - everything is so cute - so balancing style with cost is definitely going to be a factor (those cloud cushions are £50, so that's not going to happen...), but I'm up for the challenge! Planning is much more fun than doing. Everything takes twice as long and costs twice as much as you expect. You will not be the exception to this rule. Do the floor last. Then it doesn't matter if you splash paint around when you're doing the walls. Whoever owned your house before was a corner-cutting nightmare. 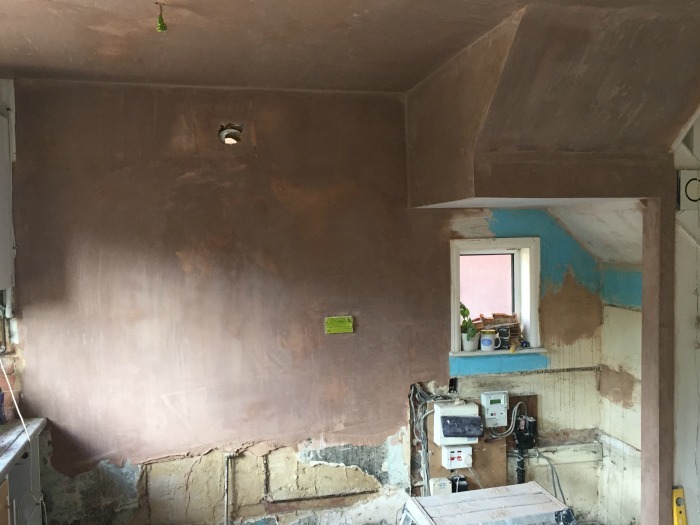 Plastering around the light fitting? Really?! Sanding skirting boards is fun the first time. Not so much the fifth time. A good partner is essential. I'm very glad I married Paul. He knows how to fix a lot of stuff. A nervous cat will add to your stress levels. There really will be dust everywhere. Forever, maybe. Having guests come to stay will make you get stuff done. All night, if you have to. 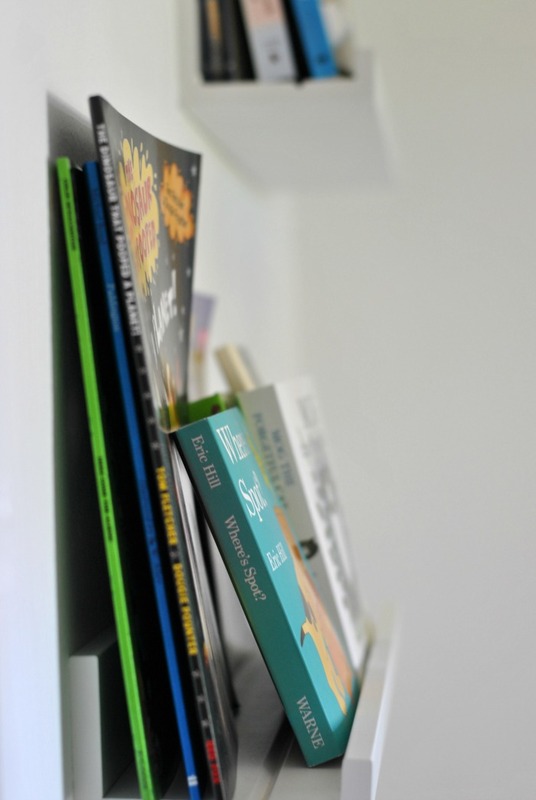 You can't renovate a house from scratch and maintain two blogs and a social life. You just can't. *That* episode of OITNB seems so much worse after an exhausting day of stripping wallpaper. You will miss your books. They really do make a home. Just paint everything white and worry about it later. When people turn up to help, your heart will be filled with love and gratitude. Now's the time to call in favours. It will be worth it, like they say. But I'm not doing it again. Oh, hey there! Welcome to our new home! At the moment it's empty and filled with horrible-looking carpets. Hopefully, in a few months time, everything will be shiny and new and stylish. We've spent all of our pennies on furniture and DIY tools. We've been spending every waking moment stripping wallpaper, sanding skirting boards and painting walls. It's going to be worth it, right? On the first day, I was very enthusiastic. I was ready for the challenge. But then I had to wake up and do it all again the next day. And the day after that. There goes my dreams of 'flipping' houses and becoming an ethical yet incredibly wealthy property mogul. Right now, my vision feels so far away. So much of it is in boxes and in the garage and in my head. I want it on the walls and floors. But it will happen. And then I can have parties and sleepovers and supper clubs and afternoon naps on the sofa and evenings curled up in my reading chair. Yes. The chair will be solely dedicated to reading. And maybe to putting clothes on. I'm only human. I'm worried about living without a kitchen. I'm dreaming of pot plants. I'm tired, but happy. Taking a bath whenever I want one. We only have a shower, right now. Stocking up on fancy bath bombs and oils and other assorted accessories for said baths. Tuna discovering that her kingdom has doubled overnight, and watching her find her new favourite napping spots. Hanging art and photos and prints all over the walls and not worrying about landlords who don't like nails in walls very much. Stocking our wine fridge with bottles of Prosecco for upcoming celebrations (because, of course, there will be lots to celebrate whilst we live there). Popping open said bottles of Prosecco, just because. No need for celebration, really. Not having to close the curtains whilst it's still light outside. Our current front room has a large window which looks out onto a fairly busy walkway - not what you want when you're chilling in PJs! Having a desk for working and blogging and writing letters to my Grandma. Afternoon barbecues which run into evening drinks which run into night-time dance parties. Cooking Christmas dinner on our range, with plenty of space for all the pigs-in-blankets my family always demands. Mixing up cocktails from our bar cart, whatever the occasion. Baking bread on a Sunday afternoon, with the windows open and the radio on. Fresh towels. Unscratched plates. Pristine bedding. New everything, almost. Sitting outside on the decking (not built) with a fire in the fire pit (not bought) and toasting marshmallows (essential).